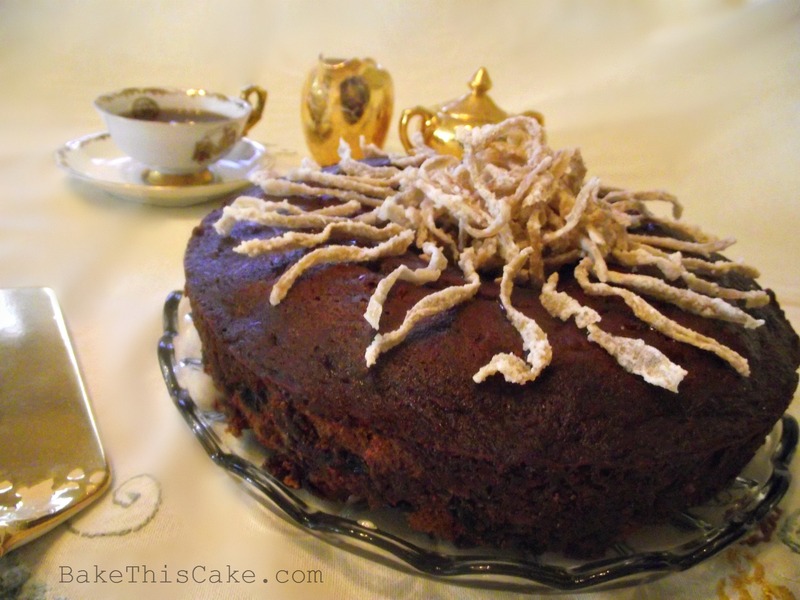 Mrs. Roosevelt’s Clove Cake for the Culinary Historians’ Yosemite Gathering | Bake This Cake! We’re resurrecting dessert history (and repairing it a bit along the way) with Mrs. Teddy Roosevelt’s charming turn-of-the-Century Clove Cake. 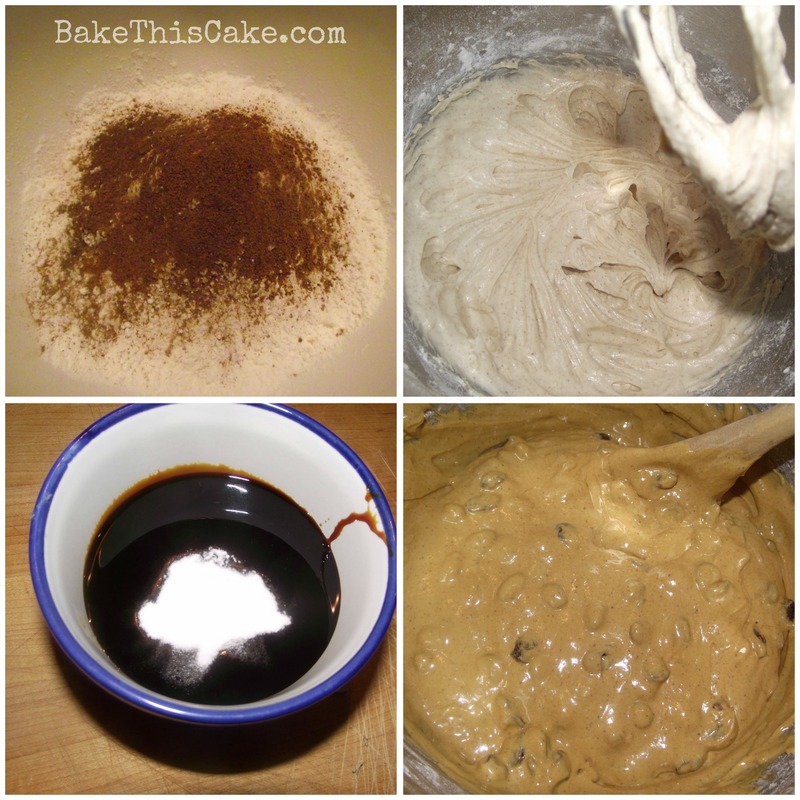 It’s a way-old-fashioned historic cake crafted with a dark molasses batter then locked and loaded with seedless raisins. Sprinkle it up with homemade caramelized ginger, although you could drizzle it with lemon hard sauce instead (and soak the raisins in brandy or vanilla) for a one-two flavor punch! History Meet-up! 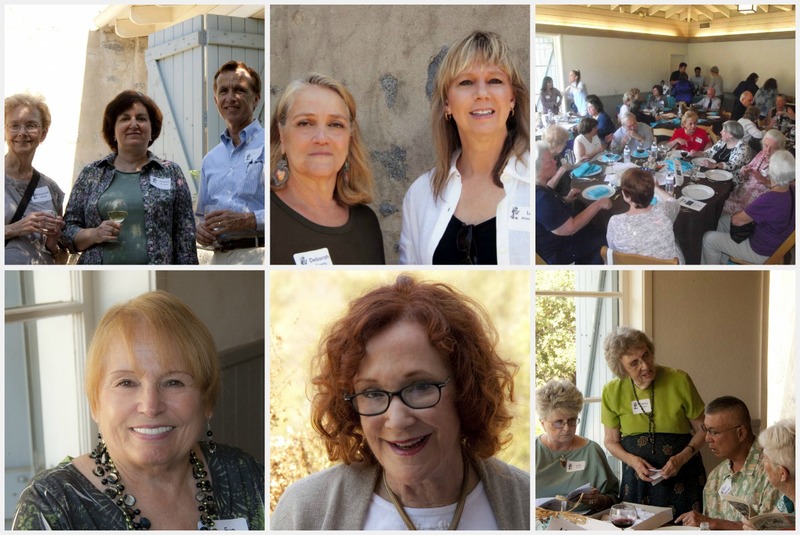 : Food historians gathered together from far and wide in the Casita Del Arroyo Clubhouse in Pasadena for the “Yosemite Dinner”. The time period under culinary review: May of 1903. That’s when the 26th President of the United States, Theodore Roosevelt, Jr., traveled by stage-coach with naturalist and Sierra Club founder, John Muir, into the California Sierra mountains for an amazing adventure that rippled through time to impact us even to this day! Three Vacation Days That Changed the World: These powerful environmental activists separated themselves from the group of dignitaries to ride by horseback into the wilderness to hike and camp together in Yosemite for 3 days (well, also with a skilled cook and a mule packed with good food and provisions). 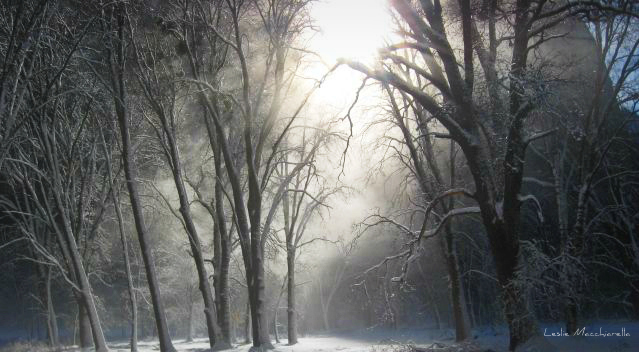 On the second day of their adventure, they braved a sudden snow storm and the third day, they were bonded as friends by a love for nature. Meeting of the Minds: The meeting of these great men in this paradise setting changed the face of environmental conservation and public access to wild lands forever by leading directly to the formation of the national parks system in America. Here’s an amazing photograph from the Library of Congress of that dynamic duo surveying the amazing vista afforded by Glacier Point with Upper and Lower Yosemite Falls in the background. 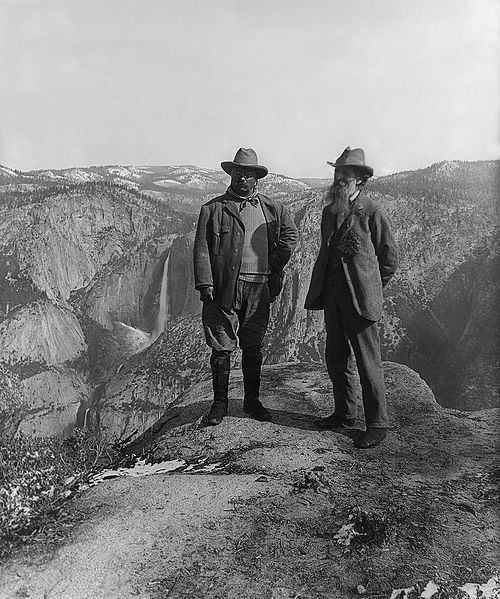 President Theodore Roosevelt, L, with John Muir, on Glacier Point in Yosemite. In the background: Upper and lower Yosemite Falls. Yosemite Dinner: The Culinary Historians of Southern California (CHSC) and Old Town Cooking School in Pasadena sponsored this food event and charity fundraiser. They host a similar event each year with a different theme in addition to their scholarly lectures each month in Los Angeles, an annual vintage cook book sale and their various restaurant-location events throughout the year. The menu for the Yosemite Dinner was carefully crafted as an historic culinary re-creation of a meal that President Roosevelt might have enjoyed with John Muir. 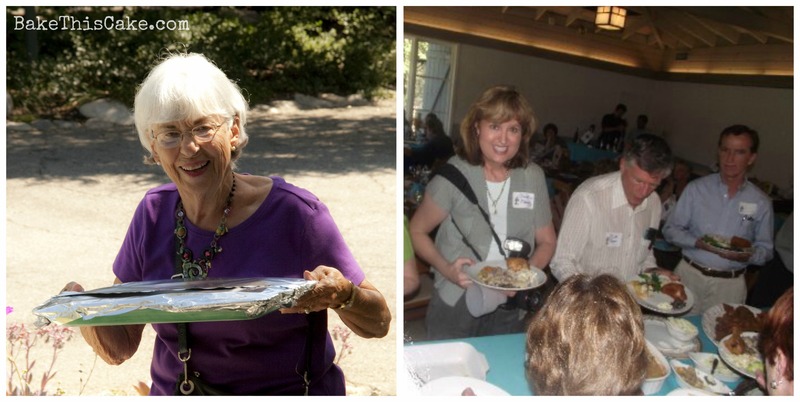 The recipes selected by the review committee were distributed and then carefully prepared by the members. 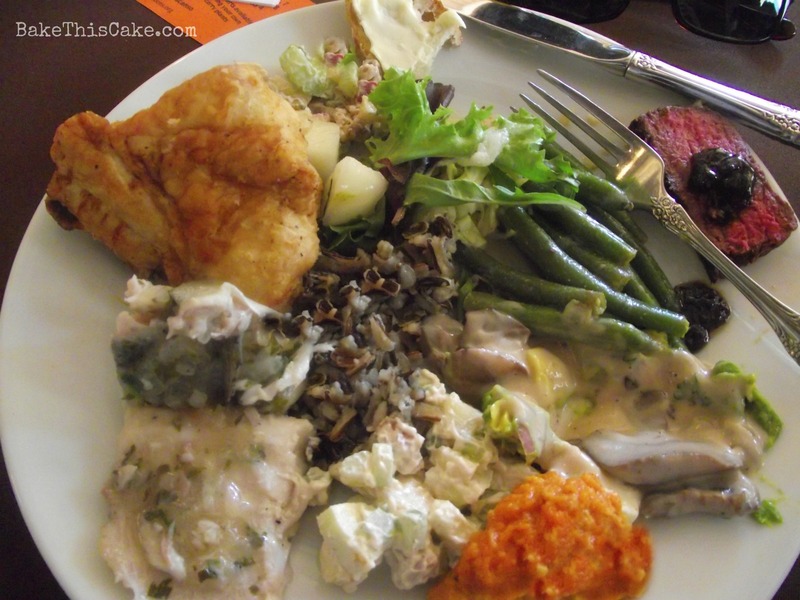 Imagine a potluck dinner created by 80 or so culinary historians! Retired Los Angeles Times food writer, Charles Perry, founding member and President of CHSC, spoke to us about the significance of the Yosemite “Teddy Talks” of President Roosevelt and John Muir and how the joining of these men for nature activism on such a powerful level changed the world. 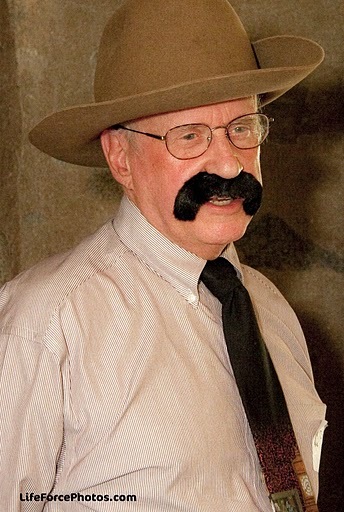 Mr. Perry is actually a descendant of President Roosevelt so, of course, he has the perfect Rough Rider outfit: hat, spectacles, moustache, shirt and vintage tie. 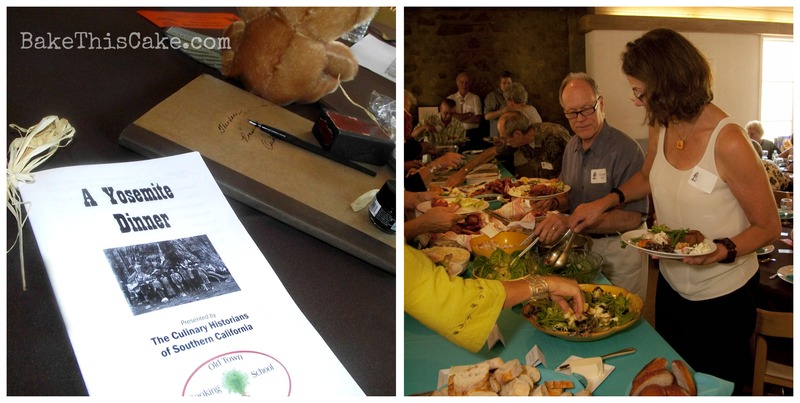 Historic Food Arts: Members brought and sampled over 30 different historic dishes, including roast venison, oysters, chicken, candied yams, wild rice, an array of chutneys, salads, veggies and casseroles. Century-old Recipe Glitch: As a proud member of CHSC, I received marching orders for a Yosemite dessert. 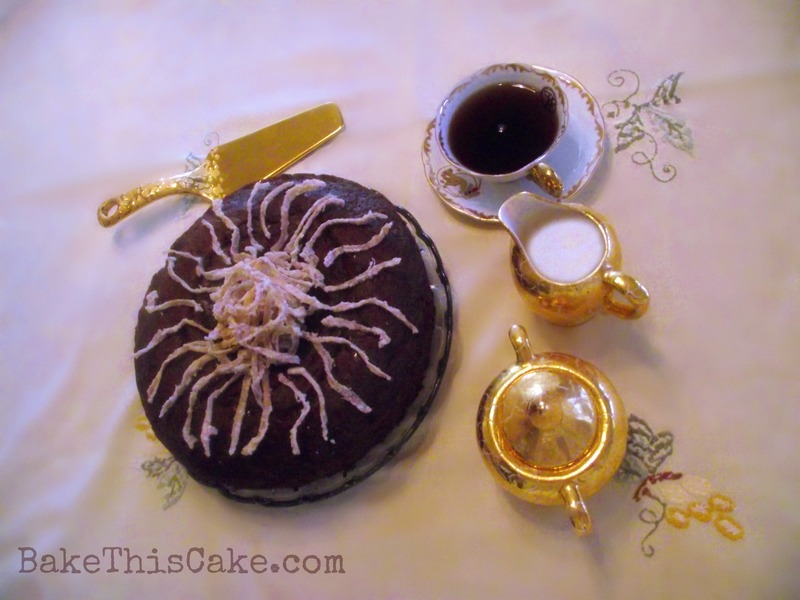 My recipe was for Edith Roosevelt’s Clove Cake and, of course, as a vintage cake enthusiast, I was delighted! But, as I began preparing the cake (oh about midnight), I realized something was off. No worries, I scampered for research books to find the original printed source of the recipe as “The First Ladies Cook Book”, Parents’ Magazine Press, 1965 (although there are earlier variations and later editions). However, the recipe for the cake in the printed book was exactly as stated. So I looked further back in time to discover that for decades this recipe has been delivered out with a glaring typo or two. Check it out. You’ll see the first clue — a double reference to milk. Because I wanted to be historically accurate with the cake for the culinary historians, I actually tried twice using the original recipe. But there was NO WAY that this thing was going to work because creaming milk with butter just makes a curdled mess and the baked cake was crumbly and bitter. 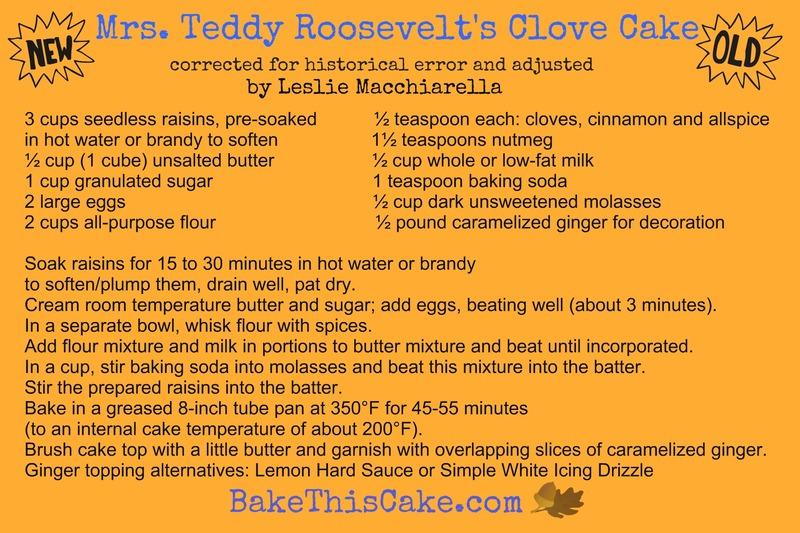 So I decided to research Mrs. Roosevelt further and find out more about hundred-year-old Clove Cake recipes and about Mrs. Roosevelt’s particular baking habits. I was concerned that sugar might not have been desired by Mrs. Roosevelt. 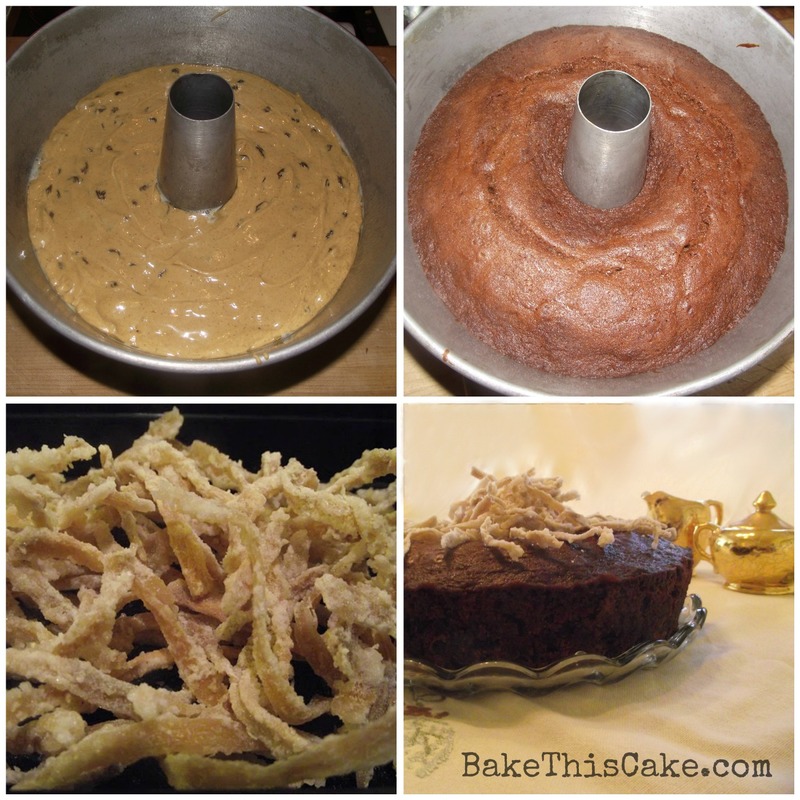 Some historians think it was common to bake desserts with molasses and omit sugar (even though molasses has a naturally bitter flavor). 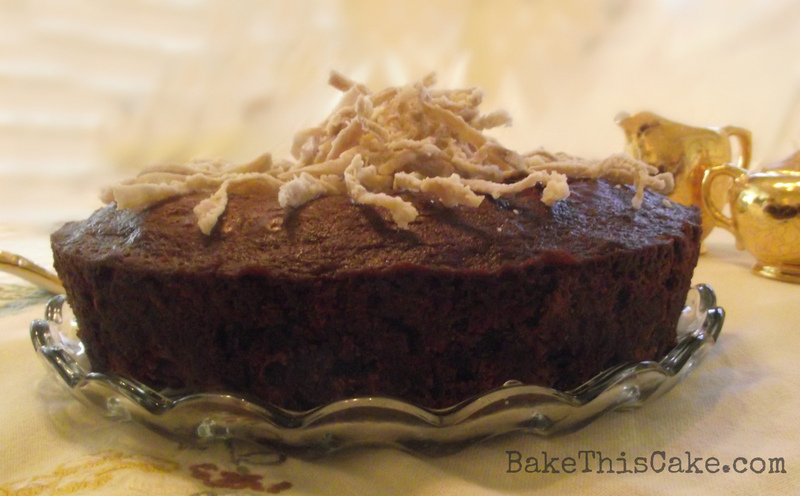 But when I researched other cake recipes of hers (like the wonderful Spice Cake, coming soon to the blog), I could see that she did indeed use sugar in her cake recipes. I also checked out various Clove Cake recipes from the late 1890’s — and sugar (white or brown) was a consistent ingredient. 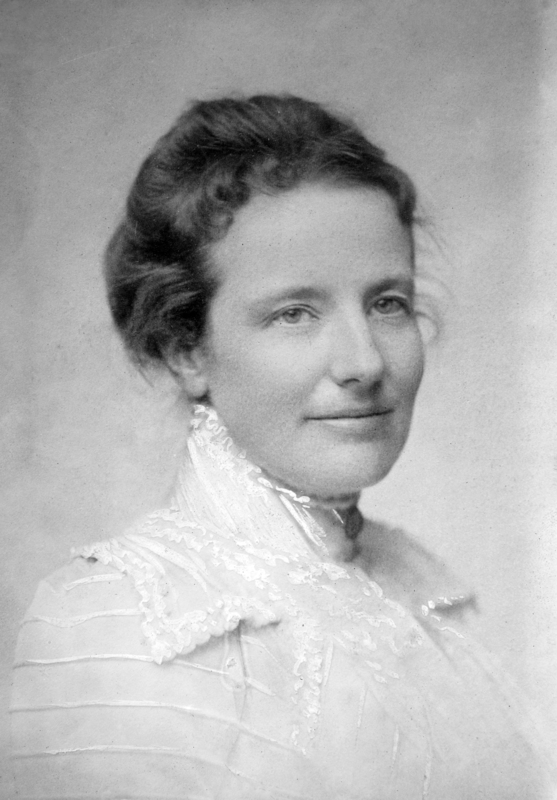 Edith Kermit Carow Roosevelt: Edith grew up near Teddy Junior in New York. She and Teddy were smitten through their teen years until a falling out just prior to his leaving for Harvard. But then, drum roll, he fell madly in love at first sight with another woman. Aww! And so, at the age of 22 (and she 19), Teddy married Alice Hathaway Lee in 1880. Tragically, Teddy’s beautiful bride passed away only 4 years later in 1884 from child-birth complications after giving birth to a healthy baby girl (and on the anniversary of his mother’s passing). Teddy’s broken heart took time to heal and he took this time at his North Dakota Badlands Elkhorn Ranch (now the Theodore Roosevelt National Park) while his sister cared for the baby. Edith and Teddy married 2 years after Alice passed in 1886 and they began raising Teddy’s daughter the next year, in addition to welcoming the first of their 5 children (born between 1887 and 1897). 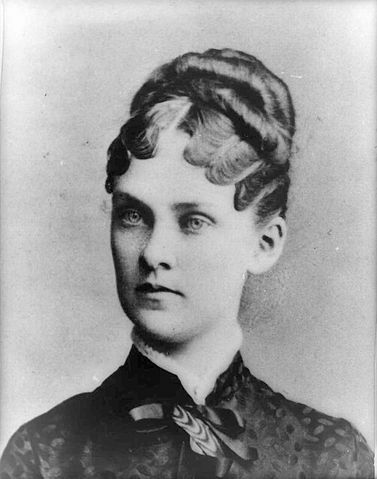 Her husband took over the Presidency after President McKinley was assassinated in the Temple of Music at the Pan-American Exposition in Buffalo in 1901 (while shaking hands with his anarchist assassin). So this publicity-shy woman packed up the 6 children and moved into the White House with her husband, The President. The initial stages for soaking the seedless raisins, bringing the eggs to room temperature in a quick warm water bath, beating the room temperature butter and sugar with fork-stirred eggs, etc. Stirring Things Up: Whisk the flour with the spices and add the milk in portions with the flour mixture to the egg batter then adding of baking soda to the molasses (though I actually don’t see an advantage to this baking soda method), and, lastly, the folding in of the those plump seedless raisins. 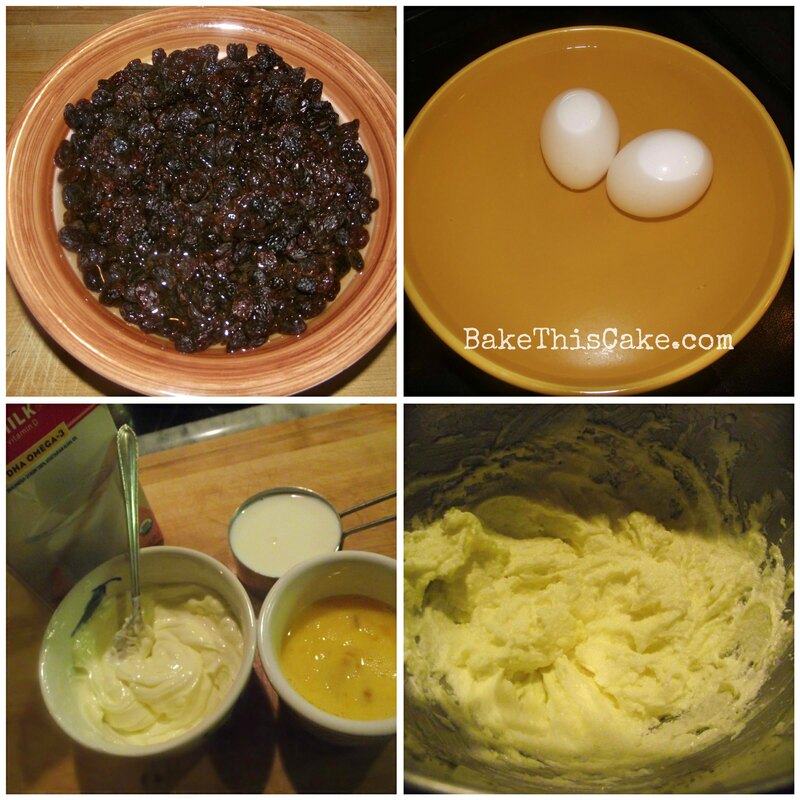 Tip: If you sprinkle the dry-patted raisins with a touch of flour before mixing them into the batter, they will stay more evenly distributed throughout the cake instead of sinking to the bottom. Bake and decorate! 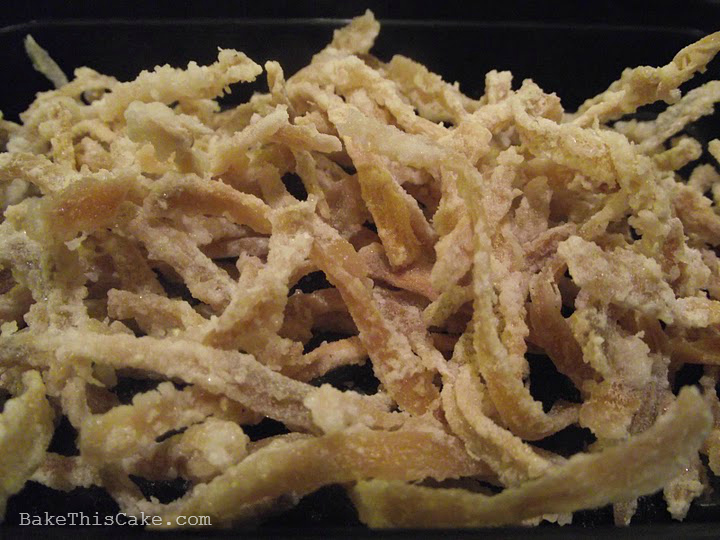 The batter is leveled out in a prepared tube pan or angel food pan, baked and topped with our very own homemade candied ginger. My favorite serving suggestion is to serve the cake lightly warm (fresh from the oven would be ideal) and to drop a little Lemon Hard Sauce on each warm slice (and maybe even a dollop of sweet cream for extra oomph), although my mom’s taste testing review was: “Perfect without any frills!” Also, a little piece of the caramelized ginger looks cute on each dessert plate. All of this just makes for a fun first-hand visit of sorts down history lane. They say this was Teddy’s favorite Clove Cake but I can’t be sure. I just know it’s fun to bake and now it’s sweet and moist. It might also lead you down the conversation paths of history as you serve it up to friends and family. Thank you for joining me for this vintage cake baking adventure. I hope you’re with us on Facebook and Pinterest, and now we’re also hanging out in the Instagram world (so fun to see everyone’s photos). I do declare!….the very best cake I ever did make…! thank you so much…I adore the flavour and taste of cloves when used sensibly. Heavenly and totally delectable. Best cakes are hard to find which makes me especially glad you baked this historic clove cake and found it was a winner. Thank you so much for your comment. I agree! It is putting your heart into this blog that makes it so interesting. Great recipes and entertaining reading. 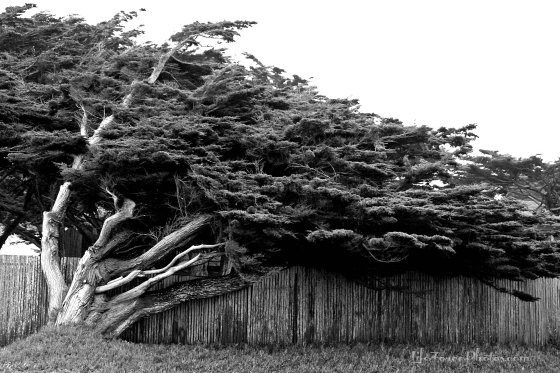 A piece of history makes it so much more. Thanks! Thanks Christine! Working hard over here to bring some vintage baking history back to life. 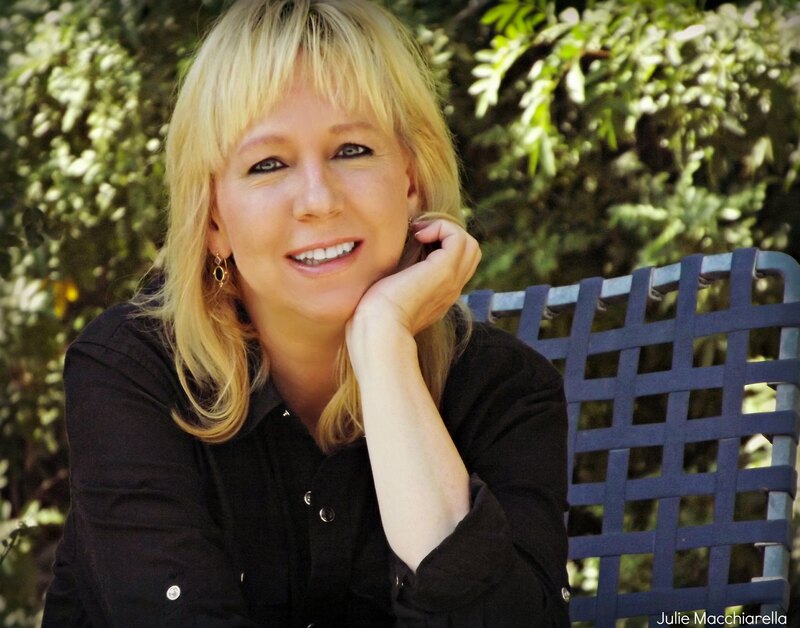 I love that you put your heart and soul into recipes and the history behind them! 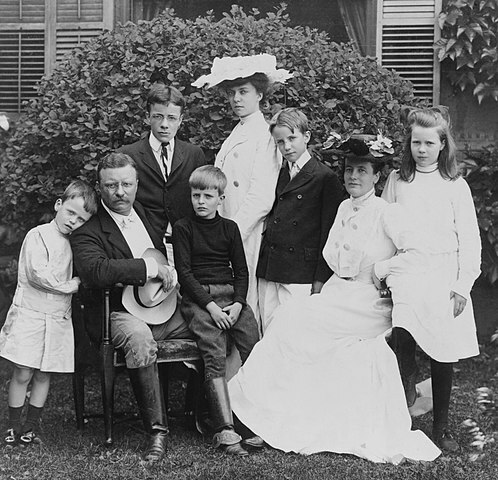 What an intriguing journey of the Roosevelts. 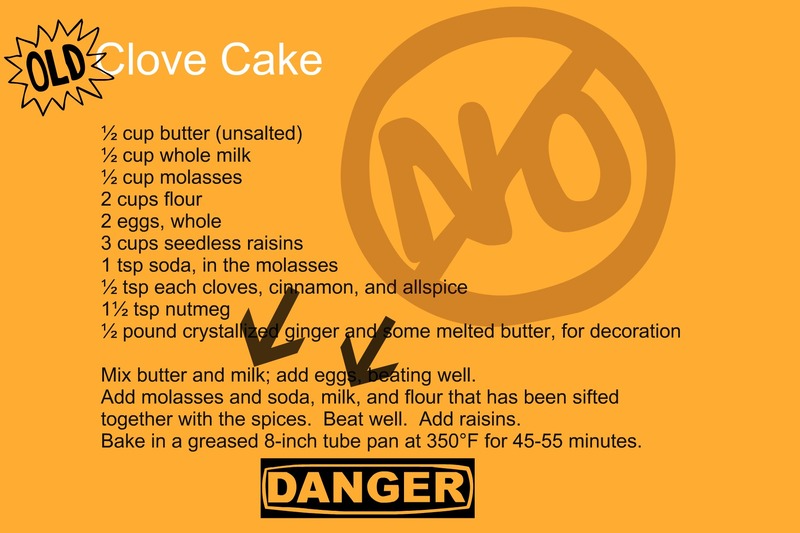 The clove cake looks delicious.